A really fantastic trip in every way. We loved it all and it went so well. No hitches at all, everything first rate. The only thing we added to the schedule was an elephant experience, walking, washing and being washed by it (her), near the Spite Lodge. Our driver took us on request. It was terrific fun. Hotels were all terrific as was everything else. Staff, agents and guides were all excellent, what a high standard you maintain. You are a star at organising everything so well. 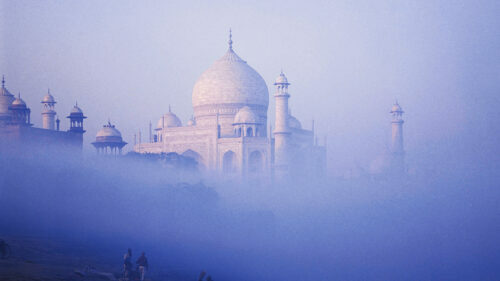 – and up-graded to a Palace room in the Mumbai Taj Mahal. Well, another WOW! It was lovely and such a super surprise, thank you so much. Home and exhausted now – about 4am in our old time! !